GARVAN Cannon considers himself a lucky man. Each day he gets to work in the industry he loves. For the past six months the lifelong motorbike enthusiast has been getting to know the business behind his passion as the dealer principal of the Ipswich Ultimate Motorbikes showroom. "I started riding motorbikes when I was three years of age, it is in the family," Mr Cannon said. 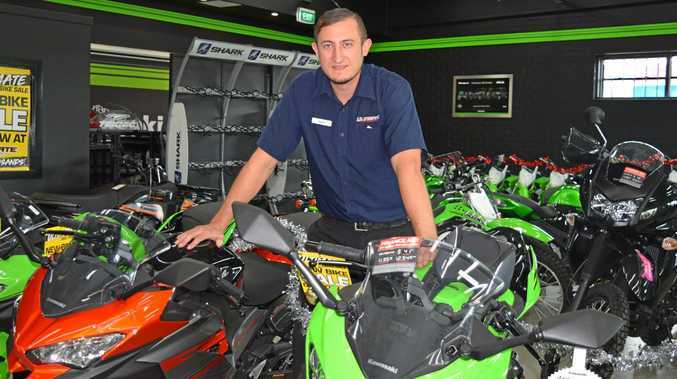 Ultimate Motorbikes boasts five dealerships across southeast Queensland. The Ipswich dealership was opened in 2013 after the former Pro Motorcycles sold and rebranded. "I was in door-to-door sales for 10 years and I got a job at Moorooka Yamaha," Mr Cannon said. 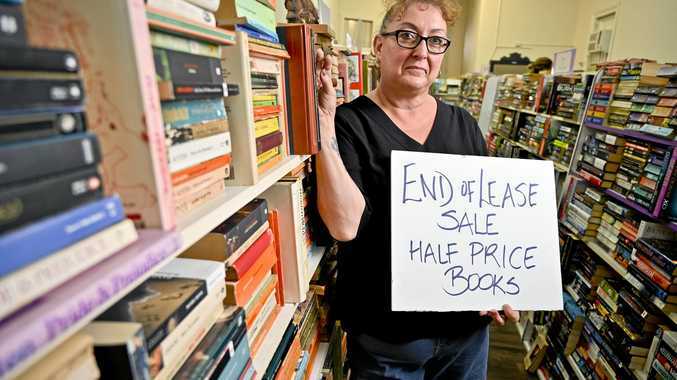 "I went from sales to becoming finance and business manager and now managing this store. "We have a wide range of bikes in store. The kids and teenagers have a big range of dirt bikes. "I see a lot of young people looking to bikes as a cheaper way to get around and there are heaps of great bikes for that." Ultimate Motorbikes is an authorised dealer for Yamaha, Kawasaki, KTM, Suzuki, Polaris, Aprilia and Moto Guzzi. It sells and services new and used motorbikes. In addition to sales of bikes they also offer a full-service department and accessories. "It is great that we have the Tivoli track as a local area and club. We hold regular shop rides and the next is on December 2, anyone is welcome to come along. We all get to share our love for motorbikes at whatever age," he said. Mr Cannon said many families were downsizing to motorcycles as a second vehicle. "They are definitely more economical, and I would say we see about a 50/50 split between sales on commuter bikes and those for recreation," he said. "We do get some of the 'old boys' coming in to treat themselves to a new bike. Sometimes that is a birthday present, they cannot get it out of their system, it is a way of life." Mr Cannon said rider safety was a major focus for the industry today. "It is so important that riders keep themselves visible, bright colours are helpful," he said. "The other thing is to do a safety course, we can recommend an advanced rider course. It helps to keep the rider sharp on the road." Ultimate Motorbikes provides an extensive online presence for customers who need to book a service, check on products or make an inquiry. The business has 12 staff. Check out Ultimate Motorbikes at 359 Brisbane St, West Ipswich or online.